Basic Tool Kit for all Bead Crochet projects! A MUST HAVE for every bead crocheter. 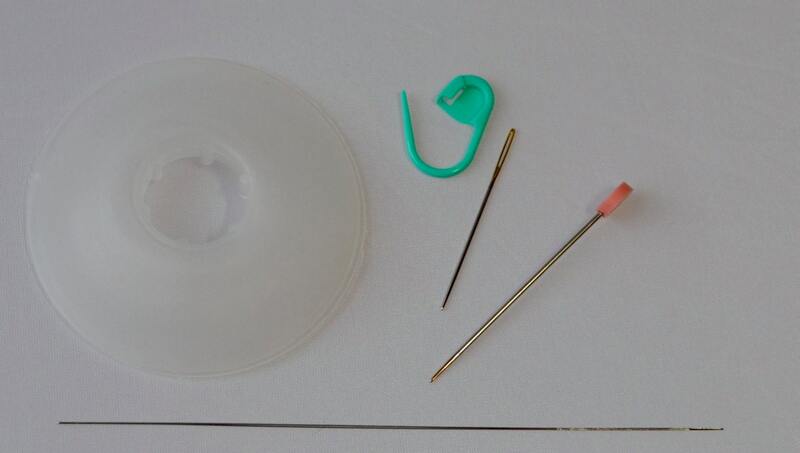 Included in this basic kit are 1 big-eye needle, 1 medium size bobbin, and must-have notions including 1 locking stitch marker, 1 round-nose pin and 1 tapestry needle. Used for all bead crochet projects. **For a more advanced kit, add the Kacha-Kacha counter and Japanese 9 cm Gold ultra-thin long-eye needle for small, size 12/15 beads. DONE FORGET TO PURCHASE A CROCHET HOOK for your project!